Best of luck to Johnny Depp. Playing an oddball for the umpteenth time has become woefully overplayed and I fear 'Dark Shadows' will be the end of the line for audience receptiveness to his kooky character roles. Seeing as a slew of record-smashing superheroes stand in his freak show-ish way, you can expect Depp to experience his biggest box office blunder since his time as a 'Tourist'. The Avengers ($95M) - While I'm tempted to downgrade the drop in its second-weekend haul to greater than 55-60%, the word-of-mouth on the Marvel-ous ones is about as strong as Disney could hope for - those fanboys/comic book geeks sure do love second, third - even fourth viewings. My lone question: is there anyone out there who hasn't seen it? 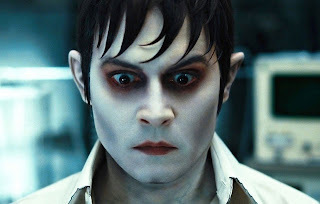 Dark Shadows ($30M) - Between Tim Burton disciples and Depp devotees, this shouldn't be a total dud but it's also not even close to being the second-coming of 'Alice in Wonderland' in regards to B.O. business. I'm rolling with more dough than 'Sweeney Todd' but frankly, it possesses the same lackluster appeal. Can you name a recent film that's been marketed with a greater level of desperation? As if anything beyond the top two matters this weekend.